A bit of an unusual mishap occured with FIFA 19 on Nintendo Switch. As with FIFA 18, the game doesn’t have complete feature parity with other versions of the game and is missing some modes and options. 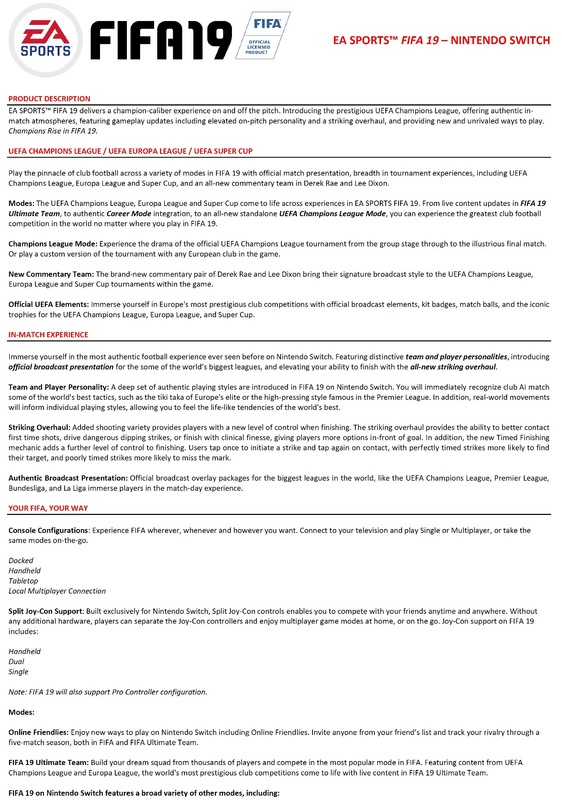 FIFA 19 on Switch is also not getting some limited time events, such as the current “FUTMAS” event centered around the game’s popular Ultimate Team mode. However, it seems even Nintendo is getting confused on which content is in the Switch version, as they actually advertised the FUTMAS event on Twitter and on the Switch’s own news channel. An EA community manager on the game’s official forum responded to the issue, acknowledging that the advertising message on the Switch news channel wasn’t intended to be published, and that EA was working on getting it removed. Nintendo of America’s tweet is still up, however. GameXplain has put together a video comparing the visuals of FIFA 19 on Switch and Xbox One. Take a look at it below. 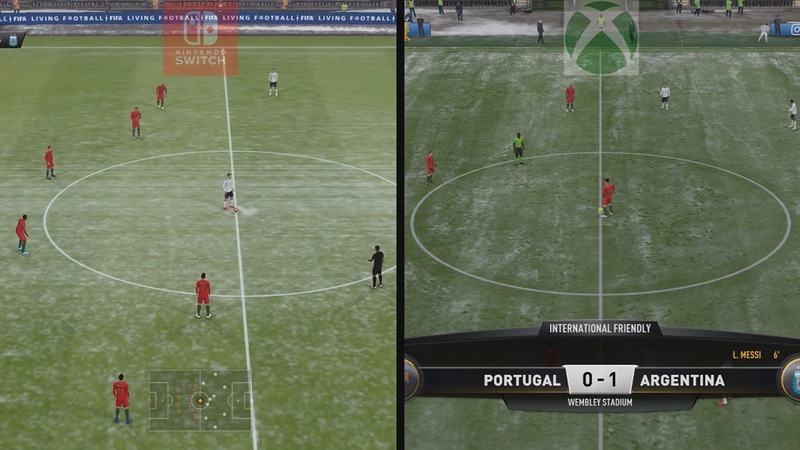 A few different videos have come in showing gameplay from FIFA 19 on Switch. We’ve rounded up the various footage below. New direct-feed footage has emerged from the Switch version of FIFA 19. Have a look at nearly five minutes of gameplay below. Nintendo is back with another video from RedCube @ Gamescom 2018, this time showcasing FIFA 19 with one of the game’s developers. Watch it below. 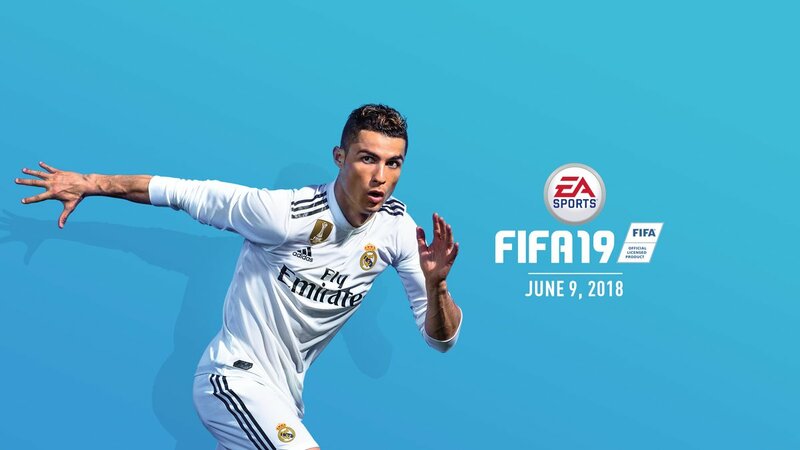 FIFA 19 will be released on Nintendo Switch in about a month, on September 28. Something you won’t be able to do at that point yet is celebrate the goals you score in the game with Fortnite-inspired celebrations. Of course, Epic Games would also need to give the okay for this. Asked about any potential copyright issues, Prior said that they would “cross that bridge when [they] came to it”. Seems like we won’t get Fortnite celebrations in FIFA soon, but it is something EA is considering. At Gamescom 2018 this week, FIFA 19 is playable on Switch. Have a look at some off-screen footage below. FIFA 18 was the first time that the soccer franchise had appeared on a Nintendo console in several years. Though the core of the game was good, there were obvious areas for improvement. 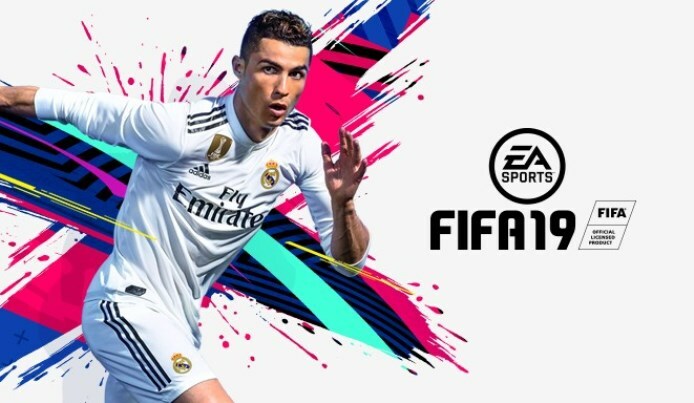 Lead gameplay producer Samuel Rivera spoke with GameReactor about some of the improvements planned for FIFA 19 this year. In addition to better AI, the game will have a Timed Finishing Mechanic. We have another look at FIFA 19 running on Switch with the video below. It’s a few more minutes of gameplay showing it off in handheld mode. Thanks to Jorden for the tip.